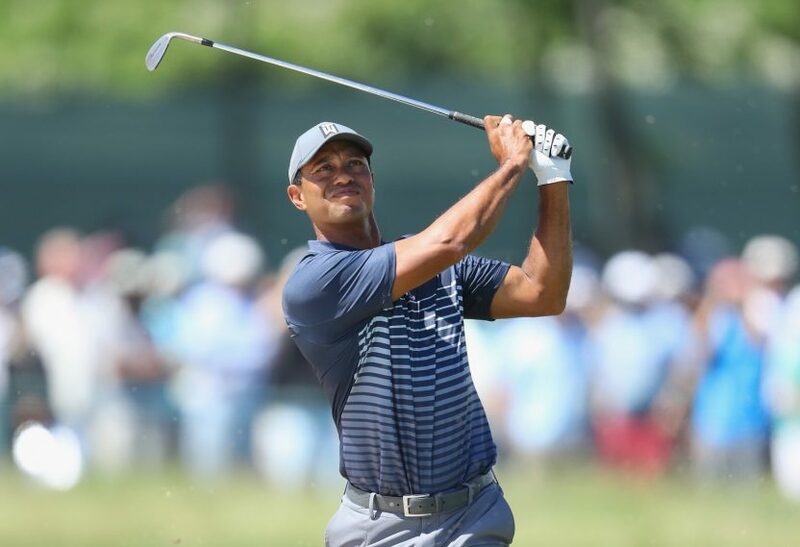 Tiger Woods played with a full set of TaylorMade clubs for the first time at the Quicken Loans National, where he finished tied fourth. 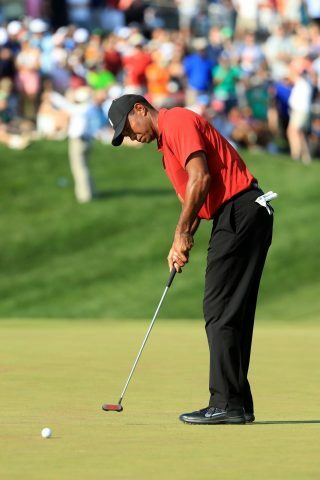 The former world No.1 swapped his Nike VR Forged wedges for a new set of custom-built TaylorMade Milled Grind wedges, and replaced his trusty Scotty Cameron Newport 2 putter with TaylorMade’s TP Ardmore 3 mallet. Although the wedges look like a permanent switch, it is not yet clear whether Woods will stick with the new putter in the long term. Woods put TaylorMade driver and fairway woods into play as soon as he signed a staff contract with the brand last year, and since then he has slowly, but surely been gravitating towards a full set. He put a set of TaylorMade-made irons into his bag earlier this season, although his ‘TW Phase 1’ irons are not on sale to the general public. 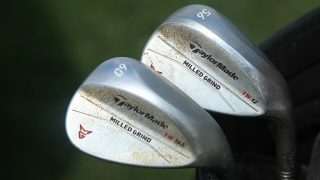 The new Milled Grind wedges are also far from being off-the-shelf numbers, with the 56° and 60° models having been hand finished by TaylorMade’s master craftsman Mike Taylor in order to meet Woods’s precise demands for spin, launch, turf interaction and bounce. The Milled Grind wedges boast a raw finish that will rust over time – just like his old Nike models – in order to increase spin.